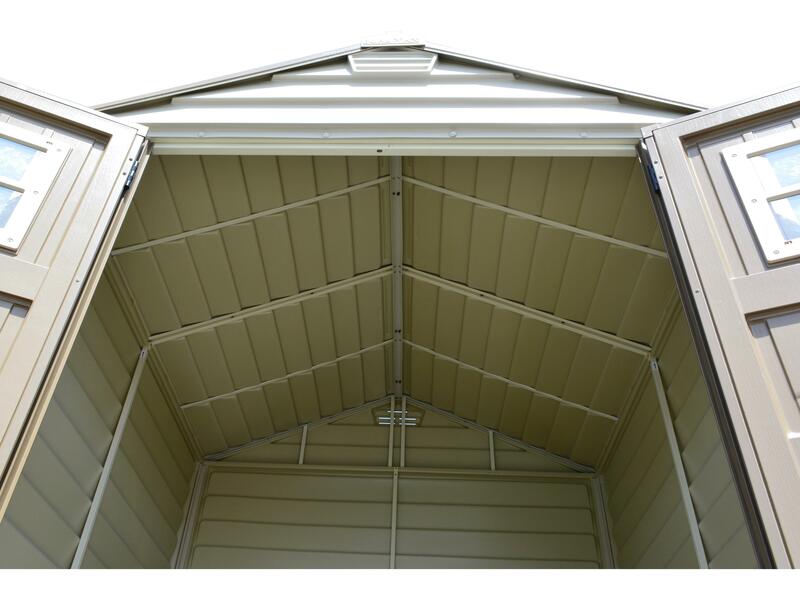 The 7’x7’ Storemax combines an aesthetically attractive shed with a durable superior fire retardant vinyl resin and heavy duty thick interior beams and columns. The Storemax will display and add beauty to any backyard or outdoor garden area. 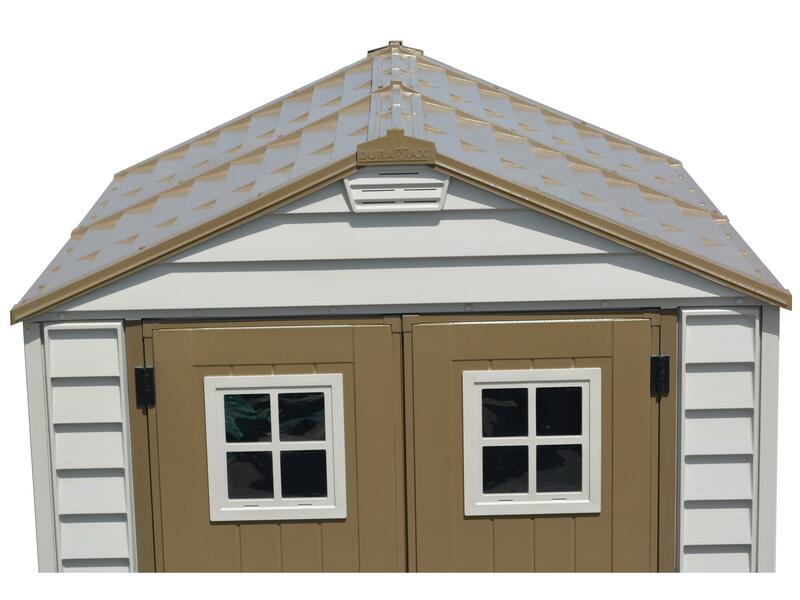 We have mastered the art of combing beauty, strength, safety and affordability once again in the 7’x7’ Storemax vinyl fire retardant shed. 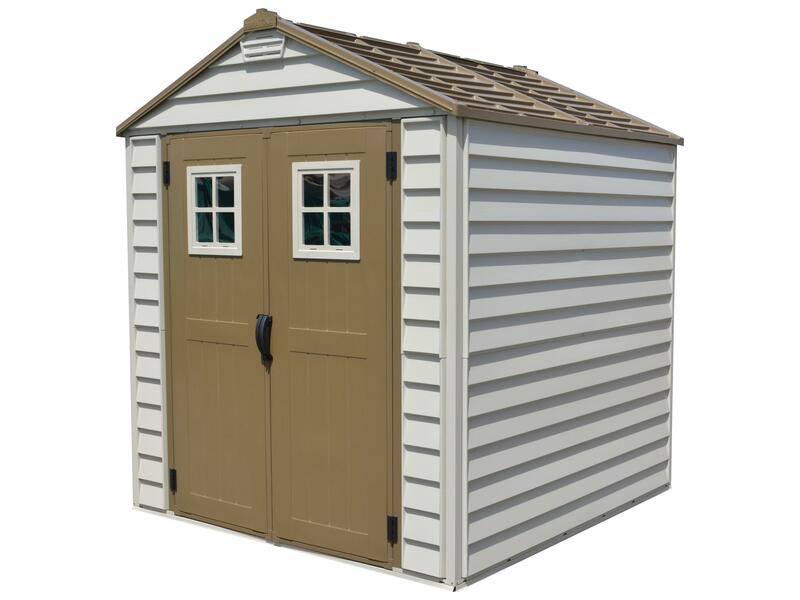 This shed has the workmanship and quality that justifies the longest warranty in the industry, our 15 year warranty. 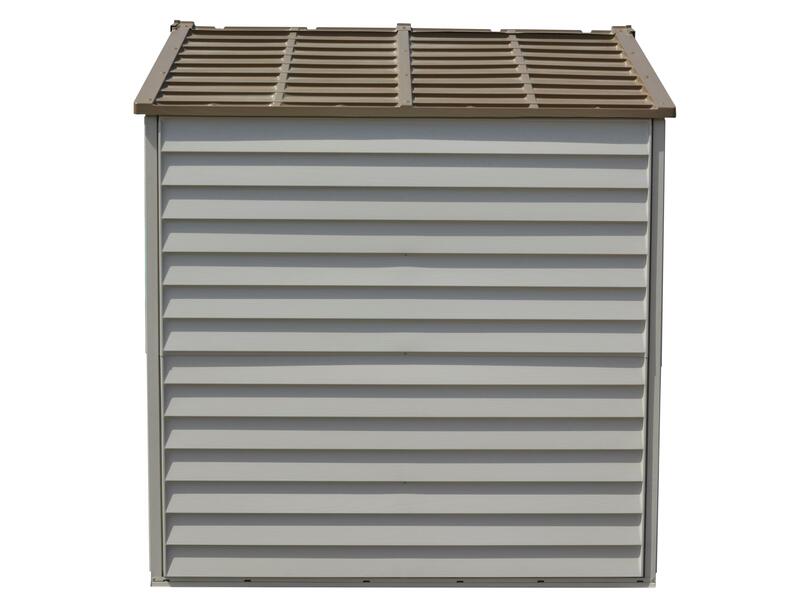 Upon examination of our heavy duty galvanized structural steel interior beams and columns you can further understand the quality we employ in the manufacturing of Storemax shed. 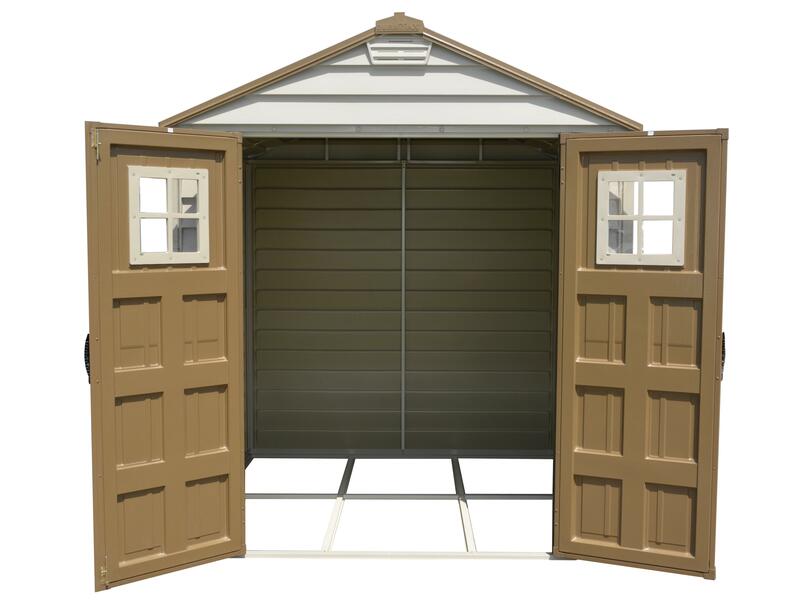 The 7’x7’ tall walk in shed complements our 10.5’x 8’ fire retardant vinyl shed. 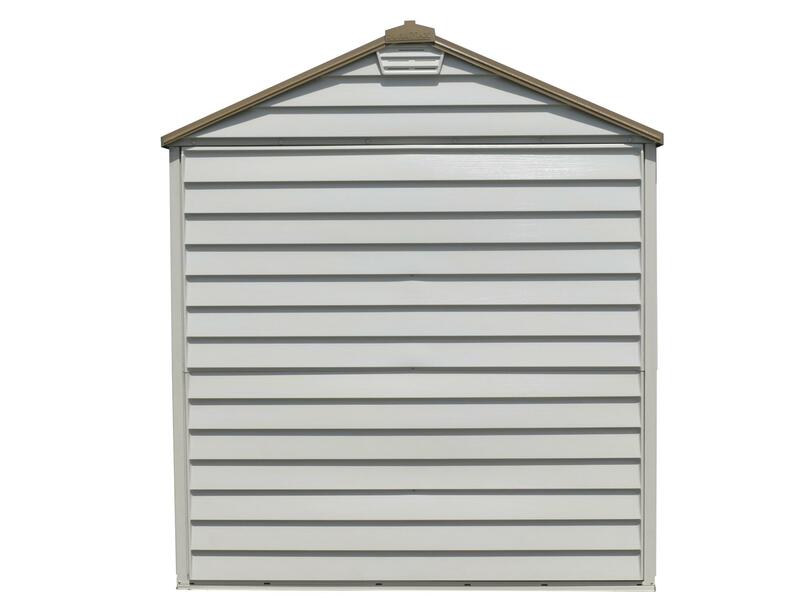 This addition enhances our extensive line of quality and affordable sheds. The features listed below will further demonstrate the value and pride we display in manufacturing all our sheds and now in particular the Storemax. Taller pitch roof for better snow slide off. Surface Area: 41 Sq Ft.